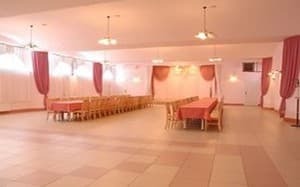 The complex comprises 14 comfortable rooms (10 standard rooms and 4 double de lux rooms), a restaurant with the Ukrainian and European cuisine and a banquet room aimed at holding banquets, weddings, seminars, presentations, etc. and comprises 300 persons. On the territory of the hotel there is a parking, a playground for children, summerhouses, a lake. 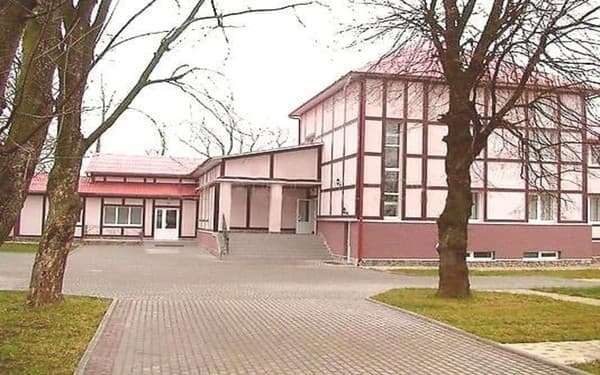 Besides on the territory of the complex there is a bath (that ia heated by firewood) with a swimming-pool and a rest room, billiards and table tennis. The complex is located in the building that was built in the beginning of the 20th century and was reconstructed in 2006 as a hotel-restaurant complex. 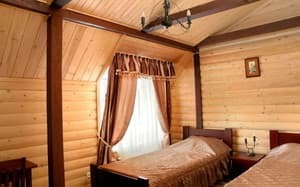 Description of the room: The standard room of Kolomyia Hotel includes a double bed, or two separate beds, two bedside tables with lamps, a table, chairs, a wardrobe, TV with satellite channels and other necessary things. The room has a private bathroom. 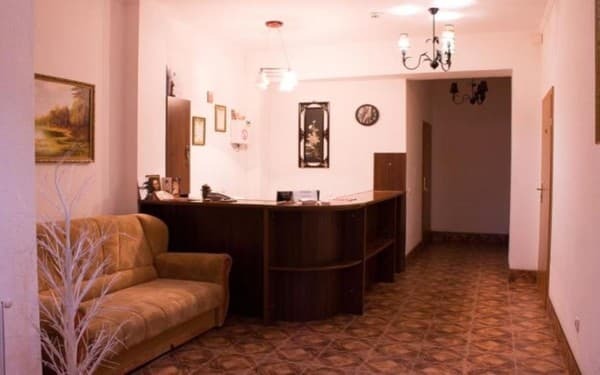 Description of the room: Two-room suite in Kolomyia hotel includes a double bed, sofa, TV with satellite channels, bedside tables with lamps, table, chairs, wardrobe and other things necessary for living. Each room has a private bathroom. Description of the room: Hall for banquets, seminars, presentations and other events, and can accommodate up to 300 people. The room of the banquet hall is located separately from the main building of the complex, which contributes to a comfortable rest for both guests of the event and those living in the hotel. 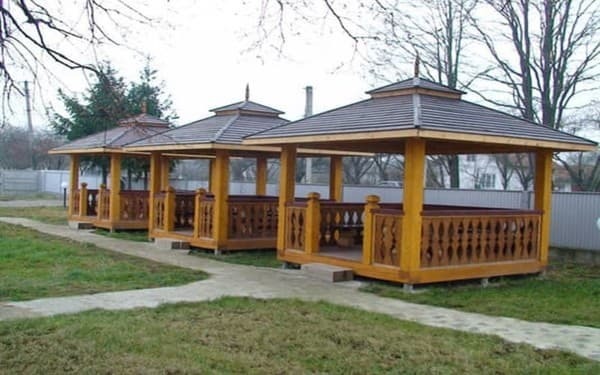 At the guests' disposal there is a banquet room, parking, gazebos on the territory. Children under 5 are accommodated free of charge. An extra place costs 50-70UAH. 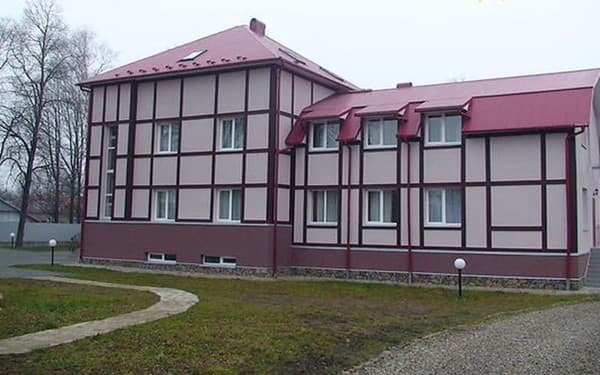 The hotel complex "Verbyzh" is situated in the village Verkhniy Verbyzh Kolomyya district, Ivano-Frankivsk region 2 km from the city Kolomyya on the highway Kolomyya-Kosov Kolomyya - 2km; Chernivtsi - 60 km; Ivano-Frankivsk - 60 km; Kosov - 30 km; Verkhovyna - 80 km; Yaremcha - 40 km; Vorokhta, the mountain Hoverla - 70 km; alpine skking resort "Bukovel' " - 80 km.